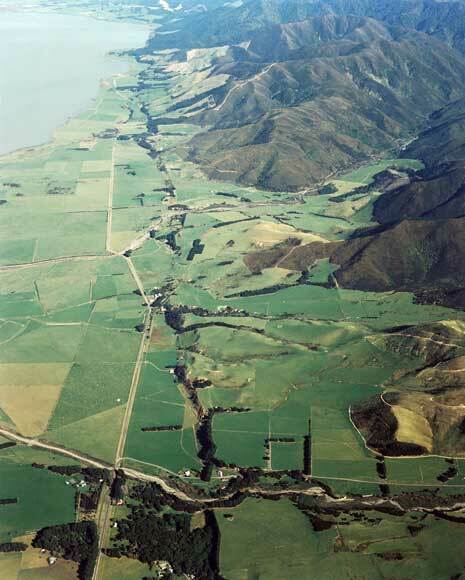 The Wairarapa fault runs up the centre of this image. Lake Wairarapa is at top left. In 1855 New Zealand’s largest recorded earthquake occurred on the fault. Measuring magnitude 8.2, the quake uplifted the land by as much as 6.4 metres and moved it horizontally up to 18 metres.